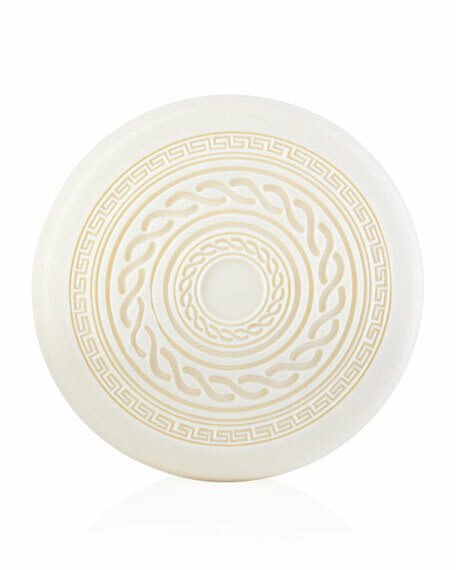 Treat hands and body to Lemon in zest, a round, white French milled bar soap, engraved with Achilles Shield. Lather in the luxury of fresh lemon, brown sugar and vanilla harmony. For in-store inquiries, use sku #1689514.